O Beiro Vinoteca – Many Special Camino Celebrations! The Camino has brought many special people into my life and helped to create many wonderful memories. There is so much to celebrate about the CAMINO – the strength of our spirit to go on a new adventure, the greeting and meeting of people from so many cultures around the world sharing in special memories and creating new friendships. The release of old feelings and emotions as we step boldly into the NOW of our new beginnings and so much more. For me I always enjoy finding a very special place in towns that I have visited around the world. Traveling mostly by myself I learned it is nice to go to a place that makes you feel at home and part of a family. One such place where I have celebrated my own camino journeys, as well as, sharing with other pilgrims in a celebratory toast is O Beiro Vinoteca. Pepe Beiro Martinez Alonso and his son Jose M Martinez Alonso and their compañeros are wonderful people and friends I look forward to seeing on every visit to Santiago de Compostela. Pepe Beiro was born in the house that is now the vinoteca. It is a house full of history and you can feel tradition surrounding you from the wonderful traditional architecture, the sound of good conversation among pilgrims and friends, and of course you will enjoy the variety of delicious and interesting wines – always making you want to return again and again. 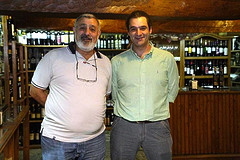 Thank you Pepe, Jose and O Beiro Vinoteca compañeros for many special memories – I look forward to many more! 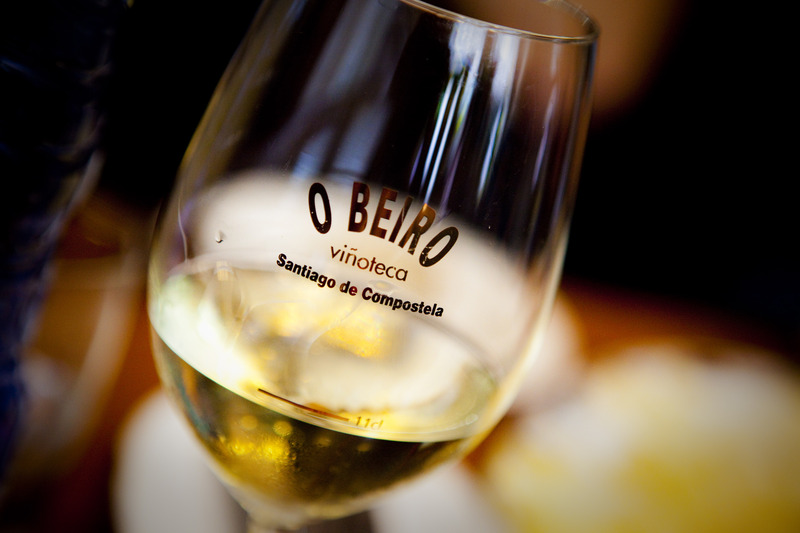 O Beiro Vinoteca is located in the Los Vinos (Streets of Wine) just down from the Cathedral and Plaza Platerias – Rua da Raiña, 3. This entry was posted in Camino Stories & Syncronicities, Camino Travel Tips, Secret Treasures , Legends & Myths of Galicia and tagged camino, celebration, The Way, traditions, wine. Bookmark the permalink.